Photographer, creative coach and six-time published author Carla Coulson generously shared all she knows about memoir and creativity (and her favorite spots in Paris) with me, this week. Tell us how your first book, Italian Joy come about? It was a memoir, wasn’t it? I had just left my life in Sydney and was starting over in Europe. I’d finished my photography studies in Florence. I was fascinated with Italian life and kept photographing the same things over and over – things like love, family, food, and the way Italians lived. I’d had photography spreads published in Marie Claire, and made some great connections through that editorial work. The original idea was for me to work with a writer to make social comments about my photos of Italy, but my editor (Julie Gibbs at Penguin) asked me how I ended up in Italy, sensing a story behind it. What was the most surprising aspect of writing that memoir? As I was getting into the lift when I signed my book contract, my lovely editor asked me if I’d read A Thousand Days in Venice? I said yes, and she just made a quick comment about the honesty of the author. No big speech or pep talk – she just left me with those words. When I went back to Florence I it was cold, dark and wintry and I thought no-one would read the book anyway so I decided to be honest. In my own little bubble I also felt disconnected to the idea that anyone would ever read it, so this freed me up to be honest. There’s something very empowering about telling your story, and it’s helped me understand myself better. I poured my heart and soul into that book. You’ve now published six books (! which is amazing, by the way) – why is Italian Joy your favourite? It was a simple book, but it marked such a joyous time in my life, being freed from a lifetime of how I thought I “should” live and finding this beautiful simple life that excited me, connected me to myself and others and led me to feel fulfilled. When it was published, I heard from so many others that read the book and felt the same way, and Italian Joy connected them both to me and to themselves. This was one of the greatest gifts I received from this book, the connections it brought me. What Italian Joy has shown me is that we are full of infinite possibilities. I picked up a camera at age 35 and became a photographer, I learned to write much later too, so now I believe with time and practice I can enjoy art, or music or some other creative outlet where as previously I told myself I wasn’t talented. I know we are ALL TALENTED and creativity is innate in all of us. Can you give any tips to those embarking on their first memoir – from your experience of writing Italian Joy? I had no intention of becoming a writer, but when the opportunity arose I was so deeply connected to wanting this new life as a photographer, I chose to take the leap and try. So I did a writing course that helped me get the words down on paper and I found a voice I never knew I had! I discovered that I love writing and that I had A LOT to say, that each and everyone of us has a story, and that our story, no matter how insignificant it may feel, has the power to inspire others and change lives. I will be forever grateful to have found a voice, and to Julie Gibbs for asking me to share my story. What sort of opportunities came your way after Italian Joy was published? It raised my profile and I landed a lot more work!!! I never knew there would be a Carla pre-Italian Joy and a Carla post-Italian Joy. That book worked miracles for me in all aspects of my personal and professional life. Magazines started calling me for jobs where previously I had been approaching them, it gave me an instant seal of approval as a photographer and my career really took off after this book. When the book was launched there were articles in major newspapers and magazines and my photography and my personal story were in the spotlight. I will always be thankful for this. I was invited to speak at functions, create images for advertising campaigns and would receive fan mail from places such as Korea, Germany and the Netherlands. It was really the most touching thing. Oh and for many years I received a royalty cheque every six months (that was really exciting). I love your second photographic memoir, Paris Tango. I particularly loved learning about the long and complex process to gain access to photograph at the Moulin Rouge… What are some of the other surprising aspects of being a photographer? Being a photographer is akin to being a mix of horse whisperer, psychologist, detective and director. There are so many technical things such as permissions that can stop you if you aren’t committed to your vision or what you do but the surprising thing is we work with the most powerful force on the planet, the energy of people! Photography is mostly a collaboration and it’s very much about different forces coming together to make something special so there is a lot of nervous excitement that the photographer feels wondering if they will get what photo they need on the day. It’s like controlling the uncontrollable, it takes a while to trust the process and then surrender to it. This allows us to rub up close to life and be in the moment. In the epoch of instagram, can you share three photography tips readers might find useful? It’s always about the light – take time to get the right light even if it means stopping and moving. Colour palettes – colours are powerful and at the same time distracting, so think through what colours you want in your images. What are you trying to say? Photography is a language as powerful as words. Think about what message you want your people to see and feel. What are some of your favourite spots to find creative inspiration in Paris? 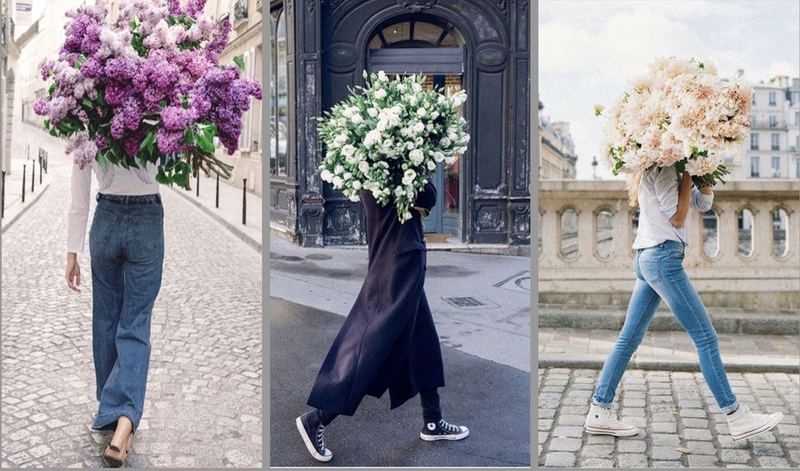 L’Artisan Fleuriste – I love flowers and I go to this florist every Saturday to see what nature and Paris has for me this week. (note from Louisa: this is on the Rue Vieille du Temple in the third arrondissement, Le Haut Marais). You now work with creatives in a coaching capacity -what’s the most rewarding part of this work? Helping people understand what is holding them back and transforming that, then adding the structures to support them long-term in having the life they want. Watching the transformation and the joy is so rewarding. What’s next for you, Carla? I believe one thousand per cent that each of us came here for a purpose and that most of us aren’t on our true life paths. My book is about how to get to the real you with joy. 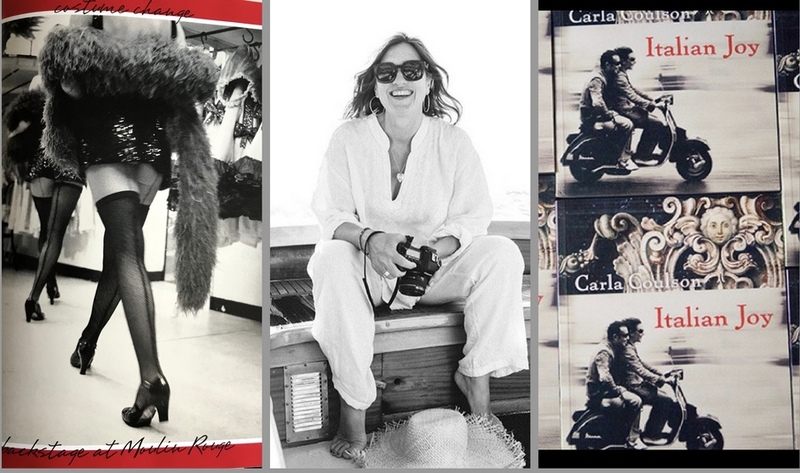 Thank you so much Carla, joy seems to be a repetitive motif in your life and work – what a lovely legacy!